Idli, the savory rice cake as they call it here in the west is a simple breakfast recipe which is quite popular in South India. You can always find idli batter in my fridge. I can have idli for breakfast, lunch and even dinner. There are different varieties of idlis like millet idli, rava idli, mixed vegetable idli. You can make idlis more exciting by serving it with exotic sides like tiffin sambar, sodhi, kadappa, and different chutneys. Or you can also transform it into upma, Manchurian, fried idli, or this biryani. Now you know why I don’t get bored with idlis. I had Iranian biryani on my list, but on a whim, I prepared this idli biryani one day with leftover idlis and carrots. We all liked it. So made it again with mixed vegetables and now here I am sharing the same with you all. Leftover idlis work best for this recipe. But if you are using fresh idlis, make sure the idlis are cool. 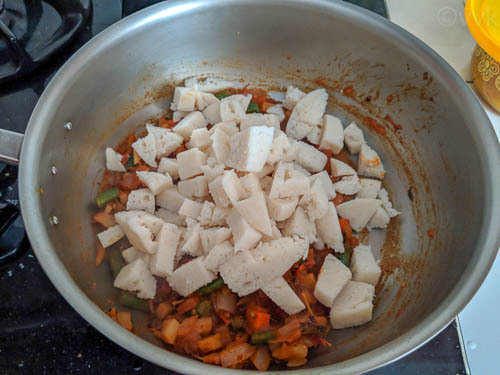 Hot/warm idlis will lose the shape as you mix them. 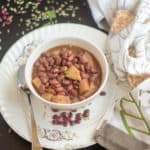 You don’t need a pressure cooker or Instant Pot for this recipe. :-) All you need to do is prepare the biryani masala and add the cooked and chopped idlis and mix well. That’s it. 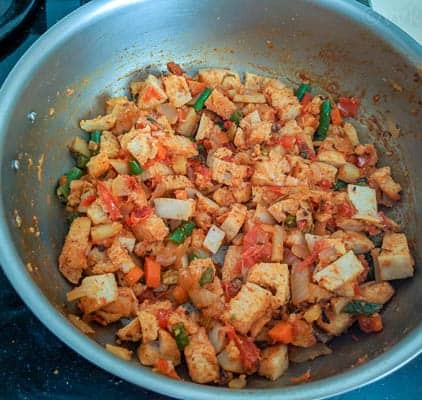 You can slightly pan-fry the idlis before adding it to the biryani masala, but I did not do that. 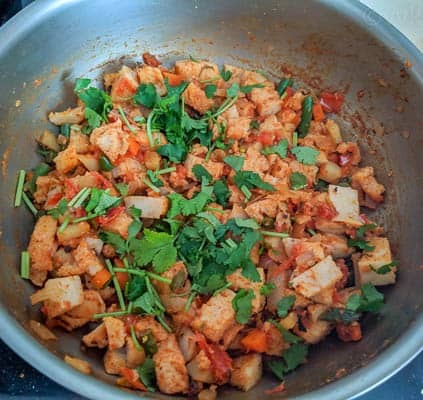 Ok, let me share how I made this idli biryani. Coarsely grind the cloves, cardamom, and cinnamon. 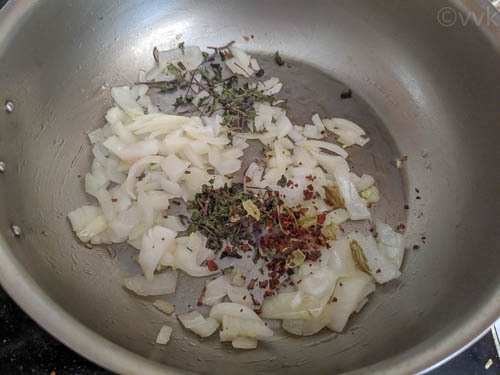 When the oil is hot, add the onion and cook until it turns translucent. Then add the coarsely pulsed whole spices and dried mint leaves — Cook for a minute. Next add the mixed vegetables, tomatoes, red chili powder, garam masala, and salt. Mix thoroughly and cover and cook over medium-low heat for 4 to 5minutes. 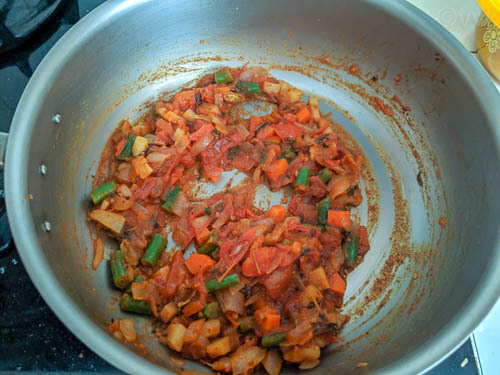 Then remove the lid and cook until the moisture is all absorbed and the veggies are soft and tender. Add the idli pieces and mix well. Cook for two to three minutes and turn off the heat. 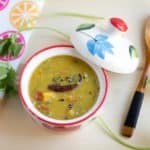 Garnish it with chopped cilantro and serve hot with raita. Make sure the idlis are not too sour. 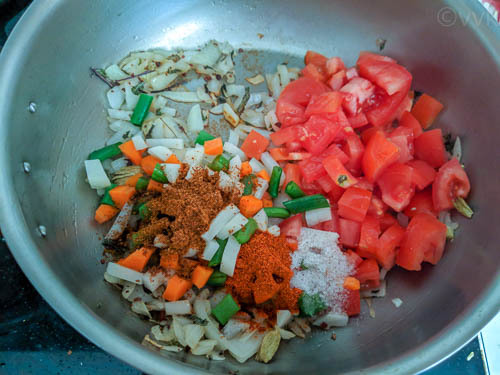 You can microwave the vegetables before adding it to the biryani masala, and in that case, you can first cook the tomatoes along with spices until they are soft and mushy and then add the vegetables. Adjust the veggies according to your preference. According to the vegetables and their cut, the cooking time might vary. I cut them into small pieces. As always adjust the salt and spices according to your preference. You can also pan-fry the idlis before adding it to the biryani masala. I used dried mint but you can use fresh mint leaves too. A 1/4 cup of loosely packed mint leaves should be sufficient for this measure. 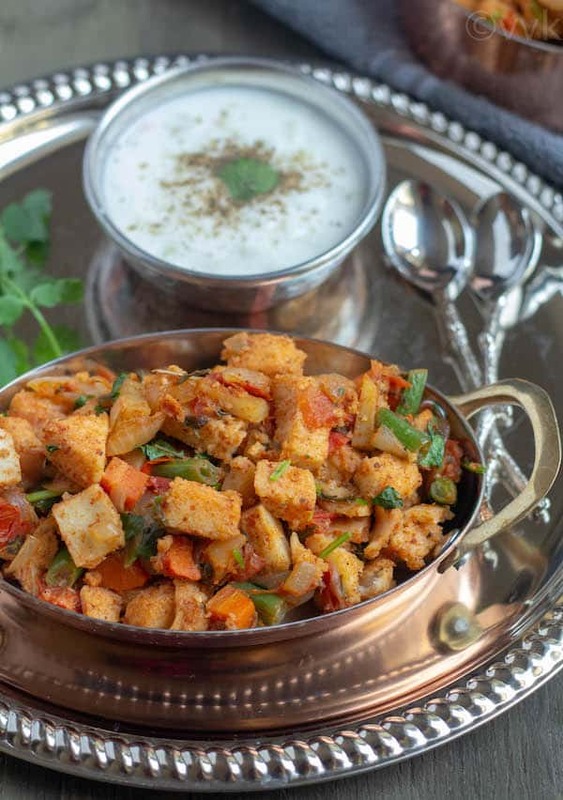 Leftover idlis are best, but if you are using fresh ones, allow it to cool and then chop. 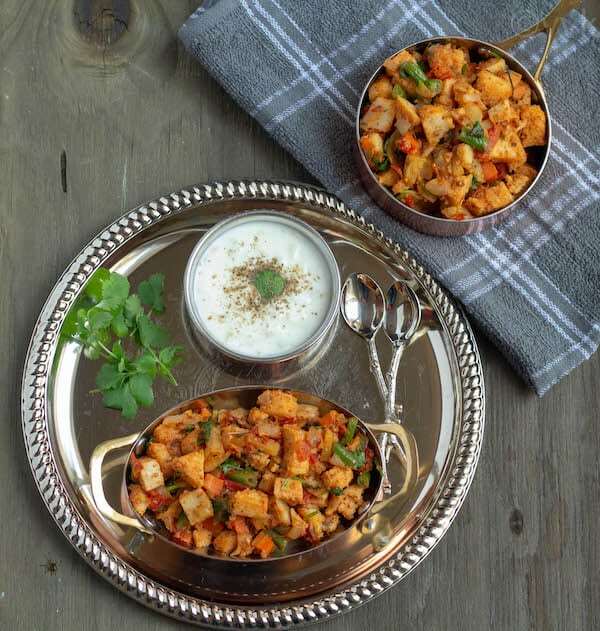 PS: If you try this idli biryani recipe, don’t forget to comment and rate the recipe. Also, follow my YouTube Channel for new video recipes. 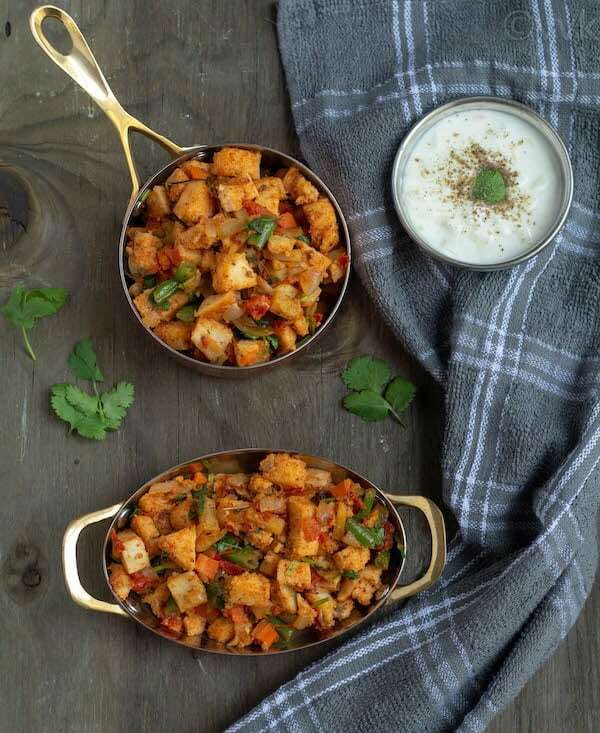 A quick and flavorful biryani with vegetables and leftover idlis. A great way to transform the humble idli. What not to try !! Biryani with Idli .. Seriously never expected this… Perfect for a quick lunch box!! I am sure they love this new idli avatar. Thanks Harini. That is a fantastic biryani with our humble idlis. Love your idea. 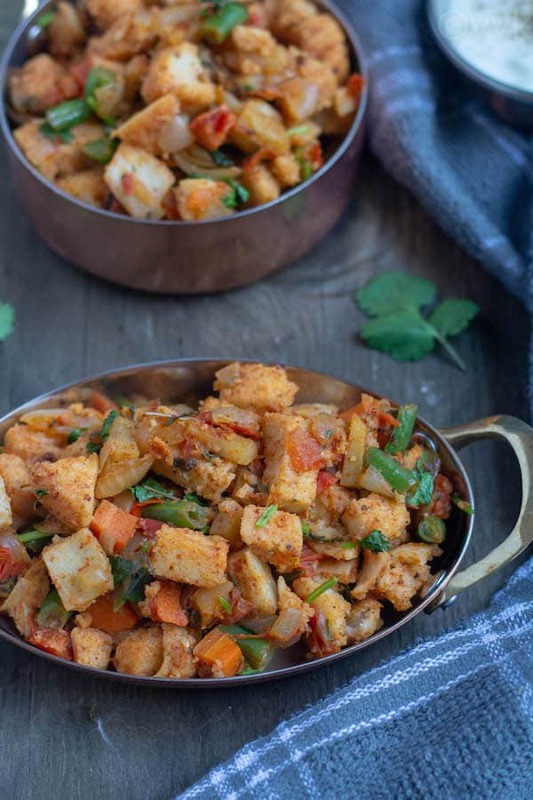 Such an amazing recipe to use up left over idlis. 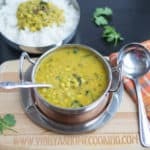 This is a good twist and must have tasted too good.. We never have leftover idlis so maybe I need to make extra ahead and try this one.. Yes, why not idli biryani? 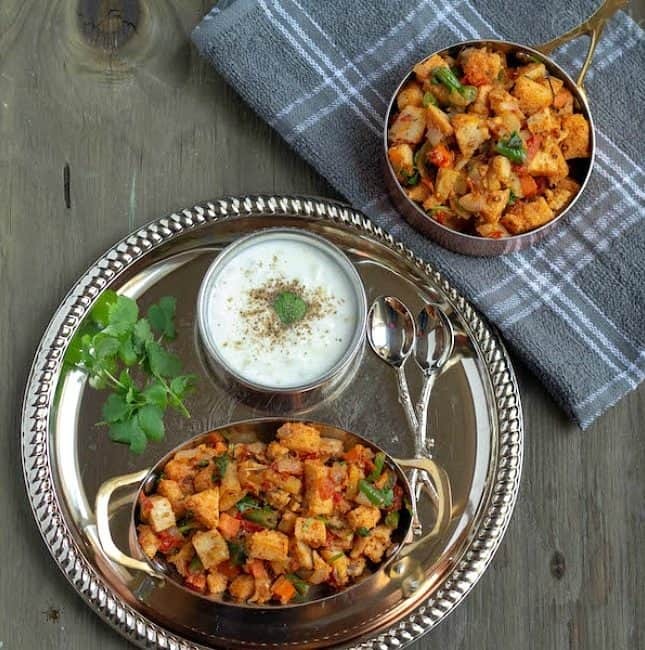 You have given left over idlis a delicious makeover. 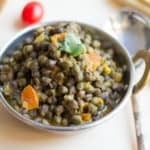 A couple of extra steps than the upma version resulted in totally another dish. Good one. 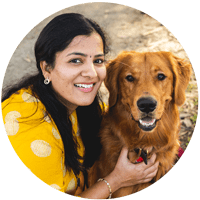 you had me at the name, Vidhya ! My idli-hating elder one wud love this flavour packed makeover.. yum! oh good. :-) Glad I posted this. 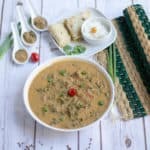 Idli Biryani ? Ha ha nice twist of name ;)) we call it Idli masala . And we love it too , though I never have leftover idlis , Will look forward to your Irani Biryani .